The Dharma being the collection of Universal Laws, is worthy of knowing whether one is a Buddhist or not. However, to follow your own nature, in this sense, is not the same as following your personal habits or whims, as in the expression “be natural?” Nature here refers to your self-nature, or Buddha nature. Maybe the light will only stay on for a minute, but at least you can see some of the problem areas. 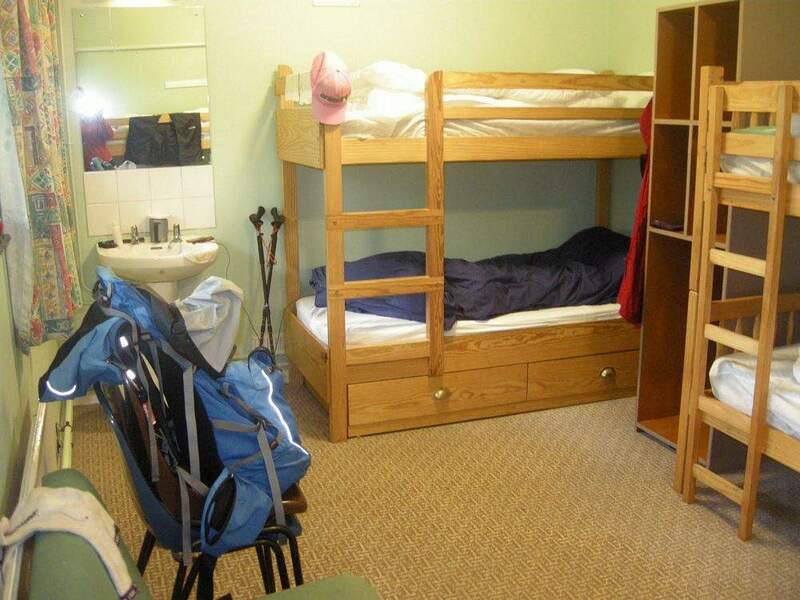 You may be disturbed by the noise of children, visits of friends or stress at work. Opposition implicatively insinuates duality. Everything has been decided already in store consciousness. At that moment, we are caught; we are not free people. Our sense of beauty, our sense of liking or disliking, has been decided very certainly and very discreetly on the level of store consciousness. The enlightened individual does not see things as bad, good, coarse, or fine. If so, why are we unable to attain it? Another reason why we cannot see our Buddha nature is that we are burdened with ideas. Do not be fearful when your mind is scattered; just recognize that it is temporary. The unity of self and universe is a joyous experience. The next day there was heavy rain and the river rose to a higher level. Thus, we cannot verbalize of one or two. Hard as this may be to grasp, the Buddha, or awakened mind in each person, is whatever we are experiencing in the moment – the wind in the trees, the traffic on the freeway, the confusion we are feeling – if we but surrender to it. Surrendering to it means experiencing it fully, giving it our full attention, without struggling against it or trying to make it something other than it is. In opening to what is, without strategies or agendas, we touch what cannot be grasped – a moment of nowness, sharp and thin as a razor’s edge. And walking on this razor’s edge cuts through the struggle between self and other that separates us from a more immediate presence to life. Every time you meet somebody, you’re looking for a better and newer and bigger idea. You are open to ideas from anywhere. The rewards in business go to the man who does something with an idea. Try this for a week: Each morning, spring out of bed at the first hint of light and focus first on the new and wondrous things that are just waiting to reveal themselves that day. Let curiosity well up inside of you. Let your mind open up to new ideas. Forget that you already know everything. The creative person wants to be a know-it-all. He wants to know about all kinds of things: ancient history, nineteenth-century mathematics, current manufacturing techniques, flower arranging, and hog futures. Because he never knows when these ideas might come together to form a new idea. It may happen six minutes later or six months or six years down the road. But he has faith that it will happen. When it comes to organizational imagination, everyone is a point of light, inwardly afire with excellent ideas for making our companies work smarter, faster, leaner, and better. 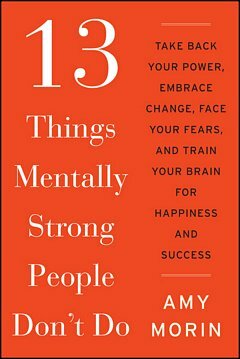 But as business leaders, we too seldom tap into our most valuable resource—the brain trust of our employees—to discover new pathways of progress and profits. 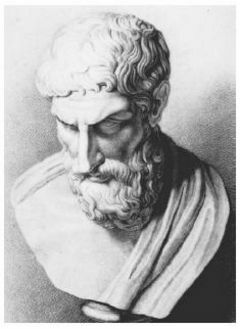 Inventors and men of genius have almost always been regarded as fools at the beginning (and very often at the end) of their careers. Keep on the lookout for novel ideas that others have used successfully. Your idea has to be original only in its adaptation to the problem you’re working on. Brainpower is now the greatest commodity we can contribute to the world. Democracy was never intended to be a breeding place for mediocrity. 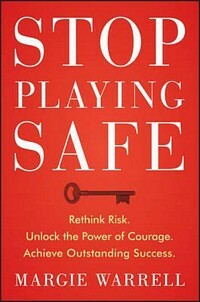 We must engage in the business of stimulating brainpower lest we fail in producing leaders of consequence. In a period of speed, space and hemispheric spasms we dare not treat new thoughts as if they were unwelcome relatives. If you do not express your own original ideas, if you do not listen to your own being, you will have betrayed yourself. Also, you will have betrayed your community in failing to make your contribution. Invention is the process by which a new idea is discovered or created. In contrast, innovation occurs when a new idea is adopted. 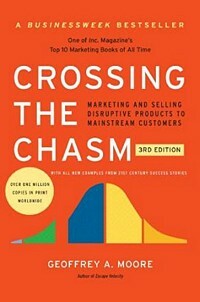 The power of an idea can be measured by the degree of resistance it attracts. I’d climb into the car as it went down the assembly line and introduce myself. Then I’d ask for ideas. Hemakuta, literally meaning gold hillock, is one of the most charming hillocks in Hampi. It is dotted by over fifty structures of different types—including temples, mandapas, galleries, and gateways of various dimensions. 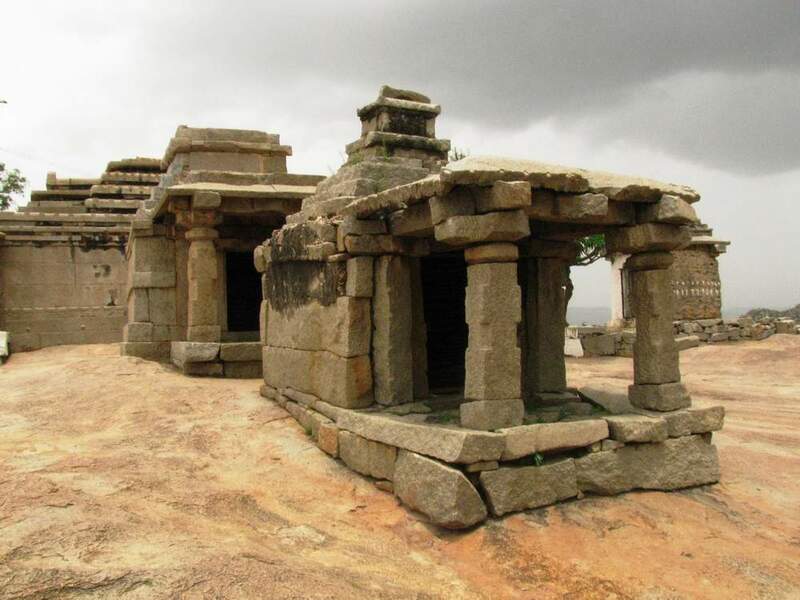 Though Hampi itself is characterized as a garden of boulders, the Hemakuta hill takes a major share in this compliment. Every boulder here tells a story of mythological and folk nature and takes the visitor to an era of religion and romance. Shiva and Parvati become closer to the visitor at this hill and it gives a rare experience of unalloyed joy. Actually, it is a fortified area, which has three entrances in east, north, and south. Originally, some of the temples of this hill were taken to be Jain basadis but now it has been proved beyond doubt that they are Shaiva temples. In fact all the temples of this area are Shaivite ones. 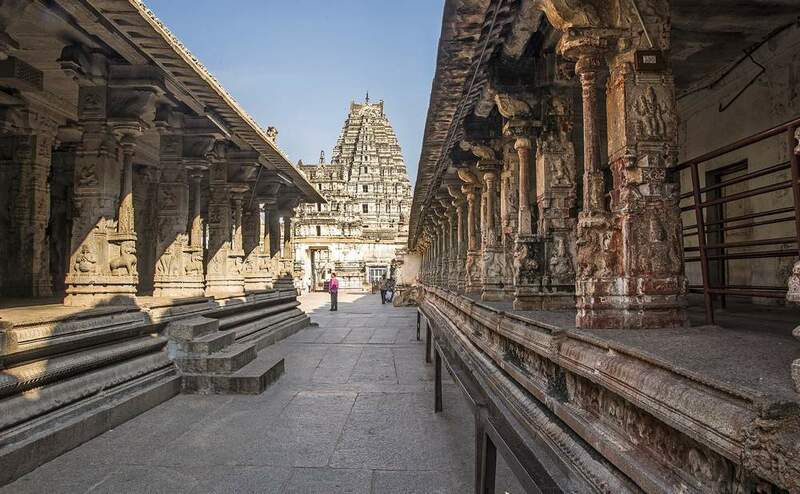 Another point of interest is some of these temples were built in the fourteenth century (early Vijayanagara period). 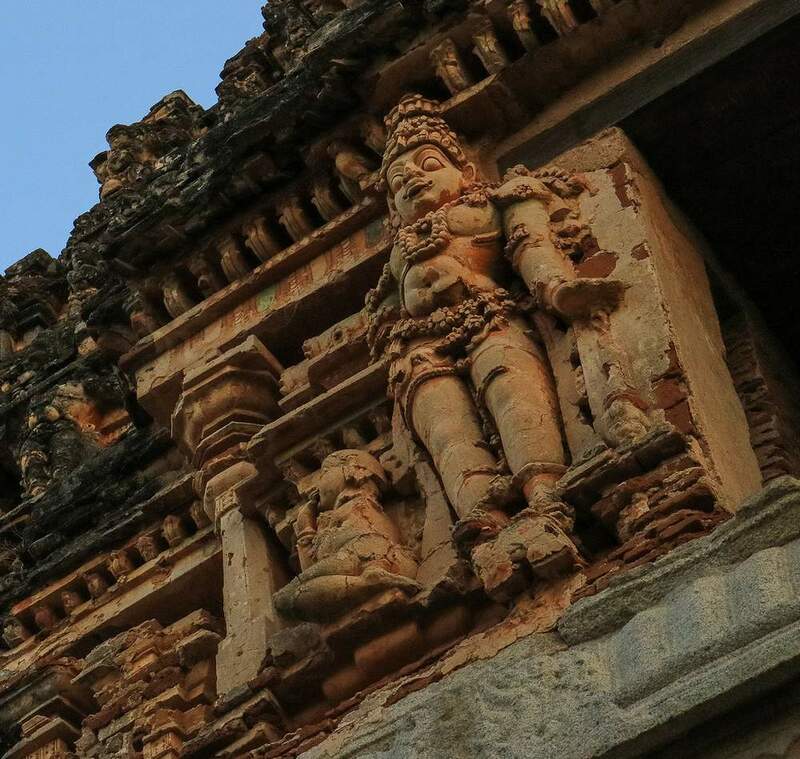 Located to the south of the famous Virupaksha temple, which has one of the tallest gopuras (170 ft), the other temples at Hemakuta are smaller ones and one can easily see a contrast. Thus, there is might and elegance side by side on this hillock. 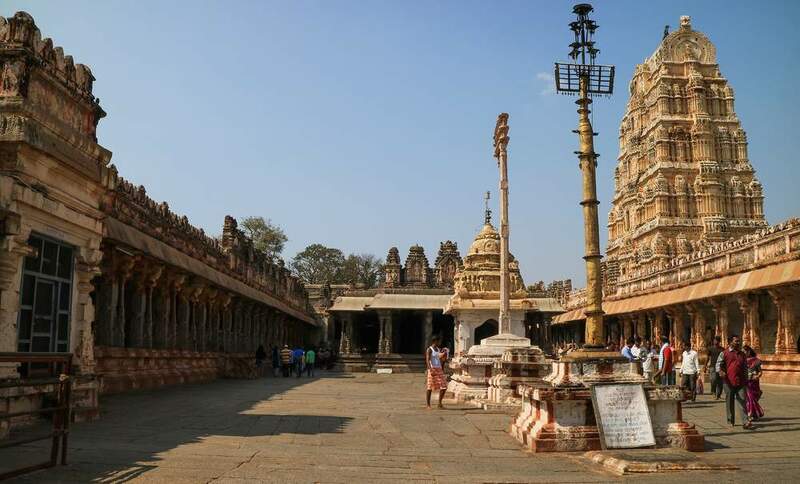 Another interesting feature of this area is the presence of one celled (ekakuta), double celled (dvikuta) and three celled (trikuta) temples near to each other. 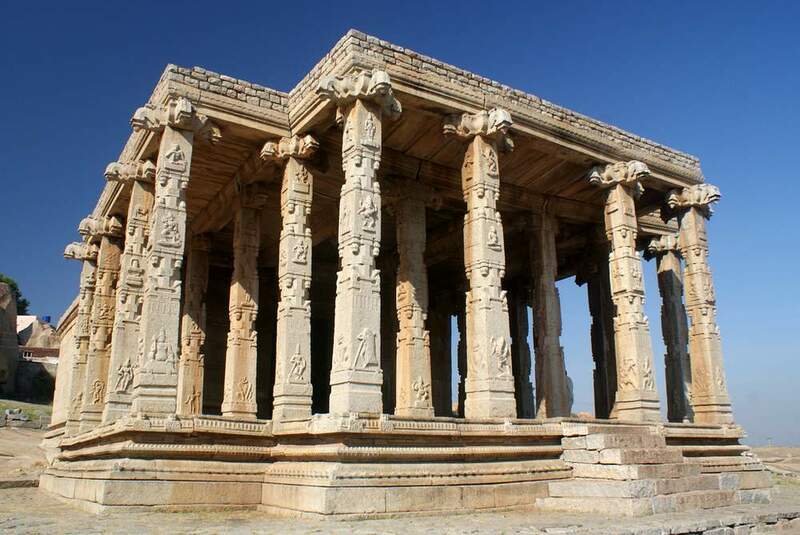 These temples though small in dimensions arrest our attention by the northern type (nagara) sikharas almost in a cluster. A ekakuta temple has a garbhagriha, antarala and a navaranga. The navaranga has kakshasana (stone bench) on the three sides. It is a granite temple with Kadamba Nagara sikhara. The twin temple has two garbhagrihas, two antaralas and two navarangas with two entrances. The sikharas belong to a type called Kalinga Nagara. It was built by Kampilaraya of Kummatadurga. The third temple is a trikuta (three celled) and it was built by Kampilaraya, son of Mummadi Singeya Nayaka. It has three garbhagrihas in three directions, with a common navaranga and a mandapa. Nearby is another trikuta temple also built by Kampilaraya. All the garbhagrihas originally had Shivalingas. Thus, the Hemakuta hill presents a panoramic view of Shaiva architecture of a unique type. The 14th Dalai Lama, Lhamo Thondup, Gejong Tenzin Gyatsho (also Tenzin Gyatso,) is called Sku ‘dun (pronounced “Kundun”) out of respect, which means literally “the presence before us.” He spent his early years between the Potala and the Nor bu gling kha summer palace, studying Buddhism under the supervision of scholarly Dge lugs pa monks. This altered suddenly in 1950 when, at the age of fifteen, a political predicament forced the Tibetan government to ask him to undertake both political and spiritual authority. When Mao Zedong declared Tibet an integral part of the Chinese homeland and China’s Red Army marched in to Tibet, easily defeating the badly equipped Tibetans in 1950 at on the traditional border between central and eastern Tibet. In despondency, Tibet’s political leaders invested the young Dalai Lama with full political authority. In 1951 China forced a totally conquered Tibet to sign the Seventeen Point Agreement in which it was declared that Tibet had always been a part of China. The Dalai Lama finished his traditional studies in 1959. Soon after, when the Chinese army suppressed a Tibetan uprising in Lhasa protesting tightening Chinese control, the Dalai Lama fled as a refugee to India. He was eventually followed by about 100,000 of his people. Now he travels widely, giving explanations of Buddhist teaching and exchanging ideas with scientists and leaders of other faiths. 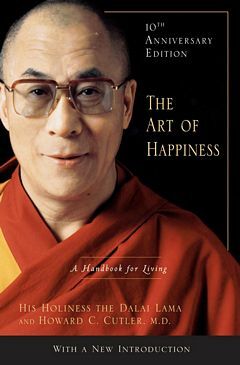 The Art of Happiness (2009) … In the Dalai Lama’s best-selling tome, he sits down with Dr. Howard Cutler to investigate the keys to happiness in the face of life’s complications. From anxiety, anger, and discouragement to relationships and loss, the Dalai Lama presents how we can find inner peace amongst the problems of modern life. Ethics for the New Millennium (2001) … The Dalai Lama offers a moral philosophy based on universal rather than religious principles. Its definitive goal is happiness for every individual, regardless of religious beliefs. Reasoning for basic human goodness, he points out that the number of violent or dishonest people is tiny compared to the great majority who wish others well. For the Benefit of All Beings: A Commentary on The Way of the Bodhisattva (2009) … The Way of the Bodhisattva by Shantideva is one of the best-loved texts of Mahayana Buddhism and a distinct preference of the Dalai Lama’s own Buddhist tradition. With this classic text as his guide, he shows how all of us can develop a good heart and aspire to become enlightened for the sake of all beings. The Essence of the Heart Sutra (2005) … The Heart Sutra is a core text of Mahayana Buddhism, declaring its central doctrine that all things are empty of self. 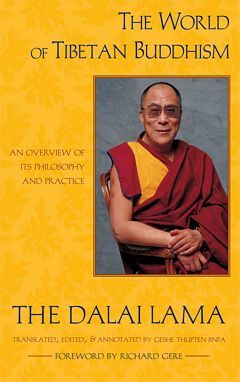 The Dalai Lama offers his interpretation on the Heart Sutra and places the text in historical and philosophical context. Since the Dalai Lama’s Gelugpa school concentrates in the philosophy of emptiness, this is an authoritative discussion of one of the world’s foundational religious texts. 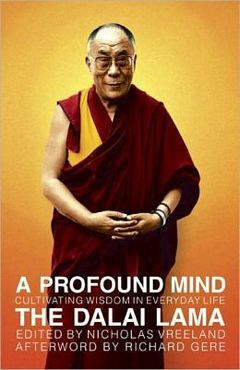 A Profound Mind: Cultivating Wisdom in Everyday Life (2012) … In Buddhism, wisdom is defined as the realization of non-self. The Dalai Lama unpacks the Buddhist view of emptiness and explains why it helps us lead a more meaningful, happy, and loving life. 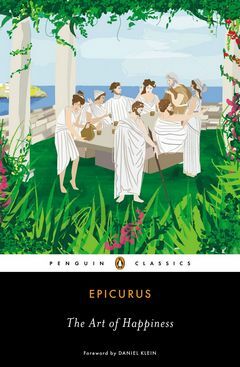 Using the arduous logic for which he is famous, he takes us on a step-by-step journey to understanding the reality of unselfishness. The Universe in a Single Atom: The Convergence of Science and Spirituality (2006) … Discussing Darwinism, quantum mechanics, neurobiology, meditation, and the study of consciousness, the Dalai Lama draws substantial parallels between the scientific and contemplative examinations of reality. His conclusion is that these different approaches to understanding ourselves, our universe, and one another can be brought together in the service of humanity. Toward a True Kinship of Faiths (2011) … Interfaith harmony, the Dalai Lama argues, does not require accepting that all religions are fundamentally the same or that they lead to the same place. He shows how believers can be pluralist with regard to other religions without compromising their commitment to their own faith. 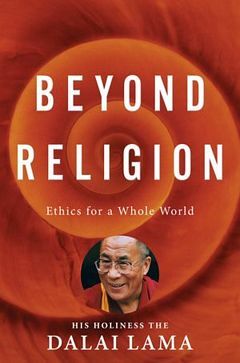 Beyond Religion: Ethics for a Whole World (2012) … The Dalai Lama is one of the world’s most famous religious leaders, yet he often supports a nonreligious path to an ethical, happy, and truly spiritual life. Transcending the religion wars, he outlines a system of ethics for our shared world and makes a stirring appeal for deep appreciation of our common humanity. 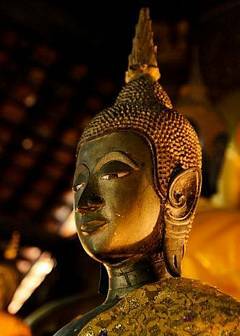 How to Practice: The Way to a Meaningful Life (2003) … Buddhism is often described as the practice of samadhi, prajna, and shila—meditation, wisdom, and morality. The Dalai Lama breaks down the Buddhist path into a series of distinct steps we can take to practice these three components of enlightenment. This accessible book will help you open your heart, refrain from doing harm, and maintain mental tranquility. Buddhism: One Teacher, Many Traditions (2017) … The Dalai Lama joins with American Buddhist nun Thubten Chodron to map out the convergences and the divergences between the Mahayana and Theravada schools of Buddhism. 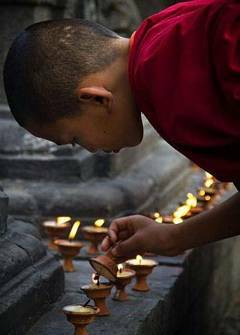 They examine the different ways these traditions treat foundational Buddhist principles such as the four noble truths, meditation practice, and the meaning of enlightenment. How to See Yourself as You Really Are (2007) … The Dalai Lama explains how we recognize and dispel misguided notions of self and embrace the world from a more realistic—and loving—perspective. Through step-by-step exercises, The Dalai Lama helps readers see the world as it actually exists and explains how, through the interconnection of meditative concentration and love, true altruistic enlightenment is attained. 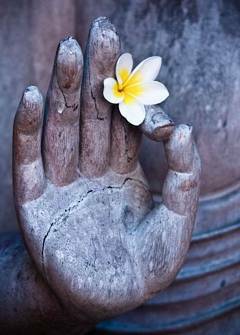 An Open Heart: Practicing Compassion in Everyday Life (2002) … How does one actually become a compassionate person? What are the mechanisms by which a selfish heart is transformed into a generous heart? In An Open Heart, the Dalai Lama writes simply and powerfully about the everyday Buddhist practice of compassion, offering a clear and practical introduction to the Buddhist path to enlightenment. Yoga, an ancient discipline, has become popular worldwide. The selling of yoga and debate over its origins have led to discuss as to whether yoga should be branded at all. Some yoga instructors have gone so far as to patent their variations of yoga; others in the yoga community declare it is a religious and/or spiritual practice and as such should not be declared as intellectual property. Yogacharya (Yoga Expert Guru) B.K.S. 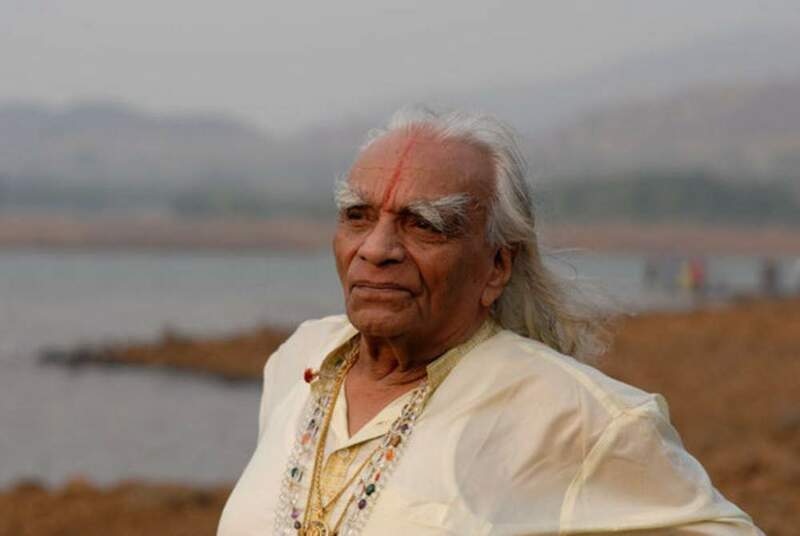 Iyengar was born in India to a family of thirteen children, ten of whom lived. His brother-in-law Tirumalai Krishnamacharya, introduced Iyengar to yoga through the yoga school he ran. Iyengar was not successful in the beginning, and it was only in 1952 when Iyengar met Yehudi Menuhin that he became internationally known. Menuhin was suffering from sleeplessness and Iyengar showed him an asana which caused him to fall asleep, and wake up so rested that he spent several hours with the yoga teacher and later came to believe that yoga assisted his violin-playing. Iyengar paid frequent visits to the west where his system of yoga was adopted by schools and centers. Iyengar yoga is known for its use of such props as straps, chairs, or blocks in empowering students to accomplish the traditional asanas, or body postures. 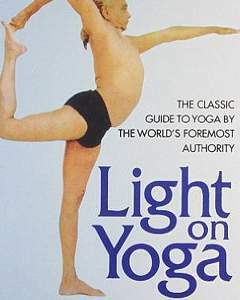 One of Iyengar’s earliest books, Light on Yoga (1966), is a clarification for Westerners of Patanjali’s thought. 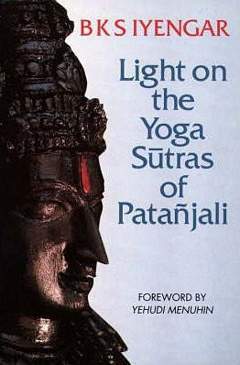 Iyengar is specifically linked with the idea of yoga as a spiritual activity, and a discipline that he explained as “the quest of the soul for the spark of divinity within us.” In every movement, students should be psychologically aware, as yoga is more than a system of aerobic or flexibility exercises. 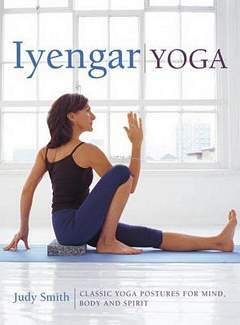 Iyengar yoga teachers are among the most meticulously trained in the field of yoga. A teacher must finish two full years of training and supervision to be certified at the introductory level. The New York Iyengar organization requires teacher candidates to be experienced in practicing Iyengar yoga up to Level III and to uphold a home practice. Zen Buddhism is not a religion according to the dictionary meaning of the word religion for the reason that it has no center in god, as is the case in all other religions. Rigorously verbalizing, Zen Buddhism is a system of philosophy co-ordinated with a code of morality, physical and pyretic. The goal in view is the extinction of suffering and death. To be attached to the one can either take the form of pure materialism or monotheism. Like those who have narrow views and only optically discern what is in front of their ocular perceivers, it is a shallow and circumscribed perspective. However, for the reason that you have a concept of emptiness, your mind is still subtly present. This is for the reason that in the reality of totality, there is no gain and no loss. Many psychological traits were associated with having longer telomeres, including greater mindfulness skills, life satisfaction, and subjective happiness. How do you return to the root? By letting go of all words, thoughts, eliminating all grasping, and rejection. If you spend your time hoping that a pleasant experience will return, or trying to avoid pain, you will become more aware of the passing of time. A tree should be watered very gradually as it is growing. In the search for simplicity we can learn to explore the space between thoughts. Listening closely to our mind, the thoughts begin to slow down. We discover that just as the out-breath is followed by a pause before the in-breath, there is also space between the thoughts. We learn to seek the gaps – the space between sounds, between sensations, between thoughts, and to explore the nature of these gaps. The gaps are the home of the mind, the limitless silence of the mind. Thoughts arise in that silence and fall back into silence. 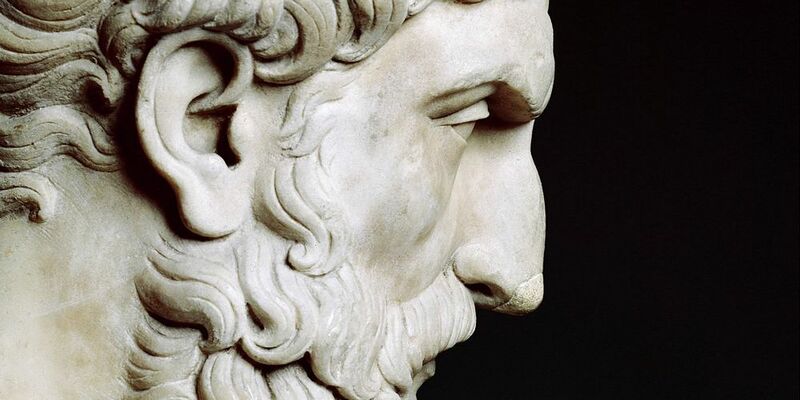 Exploring the nature of silence we begin to understand that it is not dependent on the absence of thought but is the prevailing sound that permeates all thought. Silence is profoundly simple – resisting nothing, wanting nothing, lacking in nothing yet present and complete in all moments. Sri Virupaksha or Pampapathi was the family deity of the early Vijayanagara kings and this was incorporated even in their sign manual as found in copper plate inscriptions. Situated on the southern bank of Tungabhadra river, the original temple with Virupaksha Sivalinga was perhaps first consecrated in the twelfth century A.D. With the establishment of the Vijayanagara kingdom additions were made twice. The first addition of a sabhamandapa took place during the period of King Mallikarjuna in the middle of the fifteenth century A.D. The second addition of a maharangamandapa took place during the period of Krishnadevaraya in 1510 A.D., to commemorate his coronation in 1509 A.D. The temple consists of a garbhagriha, antarala, sabhamandapa, and a maharangamandapa. The square garbhagriha has a Shiva Linga. It has a Dravidian type of sikhara with a kalasha on the top. The square sabhamandapa has four central pillars and sculptures of gods and goddesses of which Bedara Kannapp, Kiratarjuniya, Bhairava are important. It has two entrances at the north and south. 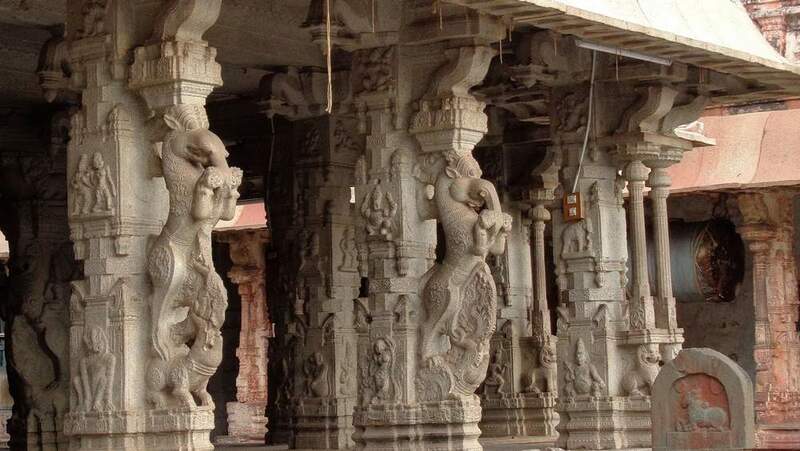 The maharangamandapa added by Krishnadevaraya contains 38 pillars with entrances on three sides with flights of steps decorated with balustraded elephants. The pillars contain relief sculptures of Ramayana and Mahabharata. The ceilings have paintings of Tripurantaka, Parvati Kalyana, procession of Vidyaranya, etc. 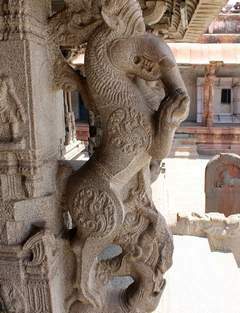 There are also stucco figures of Parvati Kalyana, Kalarimurti, Mahishamardini, etc. Krishnadevaraya renovated the main eastern gopura, which is 170 feet in height, and it dominates the entire area. This main mahadvara or the gateway with its Dravidian gopura rises in ten diminishing tiers and is famous as ‘hiriya gopura’, meaning a huge gopura. This gopura has many stucco figures and decorative elements. The Bhuvaneshwari shrine contains beautifully executed Chalukyan doorway and Chalukyan pillars of the twelfth century A.D.
As this is a living temple, devotees throng the portals of this temple to worship at the shrine of the sacred Virupaksha linga and to see the remnants of the Vijayanagara architecture and sculpture. 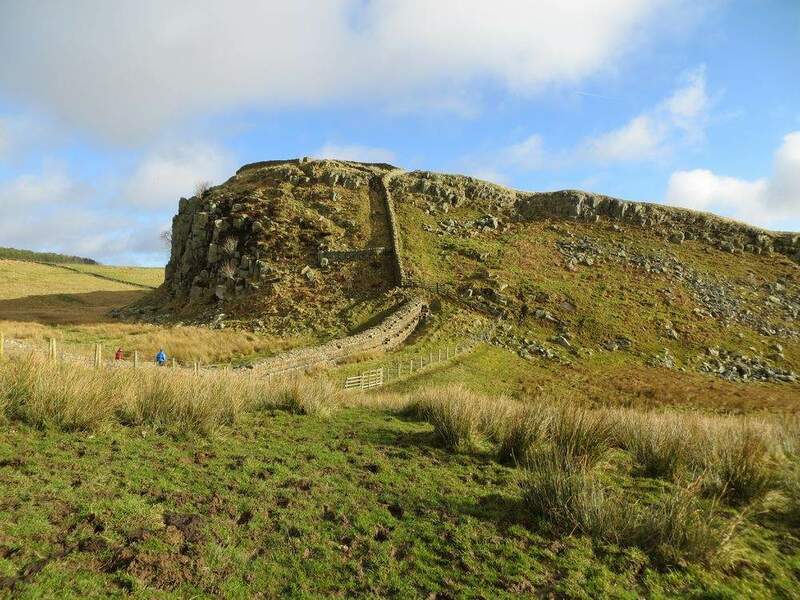 Hadrian’s Wall, near the Scottish border in northern England, was a continuous 20-foot-tall Roman fortification that guarded the northwestern frontier of the province of Britain from barbarian invaders. Hadrian’s Wall extended from coast to coast across the width of northern Britain. The wall was built to control native movements across the frontier and for surveillance. Emperor Hadrian, who ruled from 117 CE to 138 CE went to Britain in 122 CE and, in the words of his biographer, “was the first to build a wall, 80 miles long, to separate the Romans from the barbarians.” At every mile of the wall, a castle guarded a gate, and two turrets stood between each castle. The flat-bottomed trench on the south side of the wall, called the vallum, was flanked by earthen ramparts and probably delineated a “no-man’s land” past which civilians were not allowed to pass. Between the vallum and the wall ran a service road called the Military Way. Another less-sophisticated trench ran along the north side of the wall. Today, many portions of the wall, ruined forts, and museums delight history enthusiasts. Hadrian’s Wall is in vogue as a destination for multi-day hikes through the pastoral English countryside. The Hadrian’s Wall National Trail runs 84 miles, following the wall’s route from coast to coast. Through-hikers can walk the wall’s entire length in four to ten days. In 1987 Hadrian’s Wall was designated a UNESCO World Heritage site. Over the centuries, many sections of the wall have suffered damage caused by roads traversing it and by the plunder of its stones to build nearby houses and other structures. The best-preserved section runs along the Whin Sill towards the fort at Housesteads. 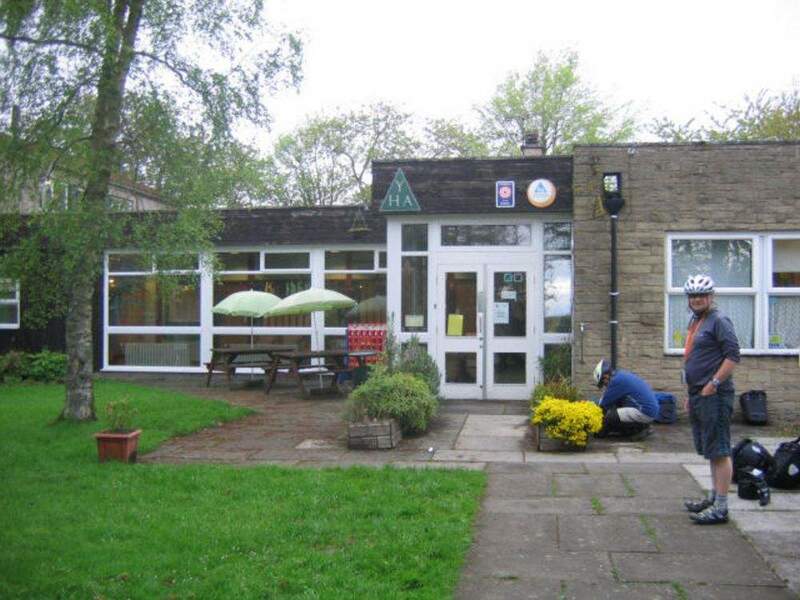 YHA Once Brewed can be found on The Military Road (B6318) which runs parallel with the A69. B6318 trails Hadrian’s Wall for much of its length and the views over the rural area are dazzling. 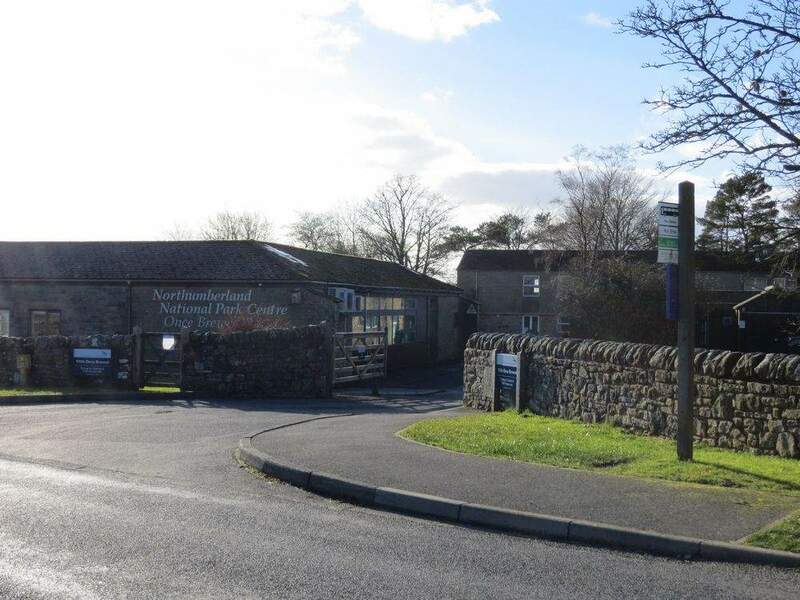 The YHA Once Brewed hostel is easily identified, the car park is just off the main road, and beside the Northumberland National Park Centre. 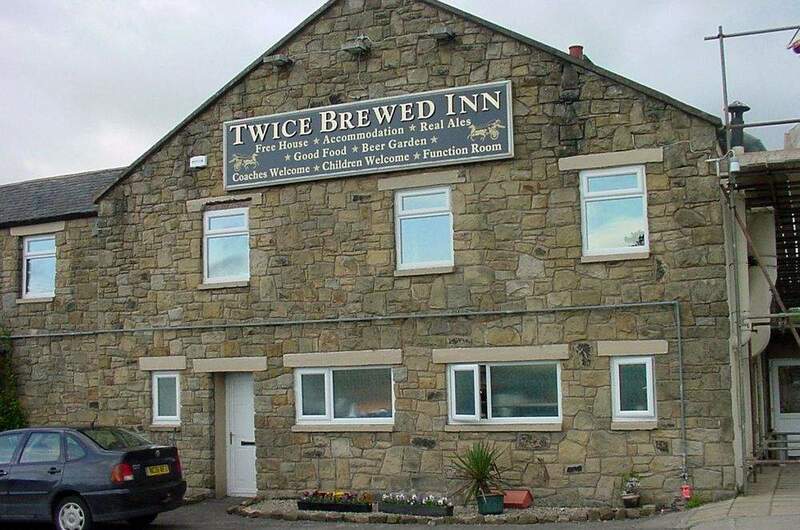 “Twice Brewed” probably derives from Northumbrian dialect, which means between two hills, or brews something, believed to be from drovers bringing the cattle down from the north looking for a gap between the two “brews” to shelter in.